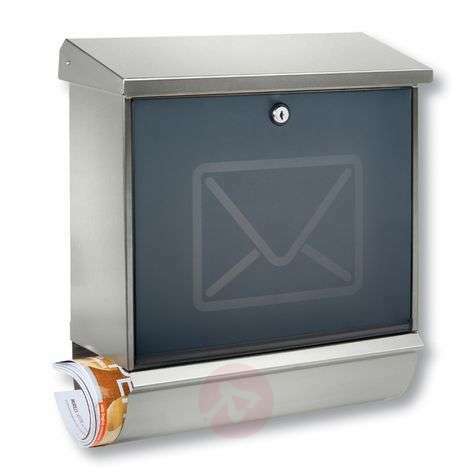 The letter box Lucca is made of high quality stainless steel, which has been hand wiped and is therefore very natural. At the front, a plastic door with satin-finished décor serves as the prominent feature, with a stylish letter image. Easily adjusts to the structure of the house façade. Brushed protective coating ensures the longevity and robustness of the product. The translucent front enables a view inside to see whether any post has been inserted. However, exact information cannot be recognised. The opening stop mechanism is also convenient as it ensures that the post remains in the letter box when the compartment is opened.